We use polyethylene (PE) netting for our batting cages, versus nylon netting. PE netting does not absorb water, holds up well under direct sun, and it is more economical than nylon. In the Southern regions of the U.S. and and especially along the coast, high heat and humidity shortens the life span of nylon netting, even when it is treated. After three years of outdoor exposure, PE netting retains a higher tensile strength than nylon. 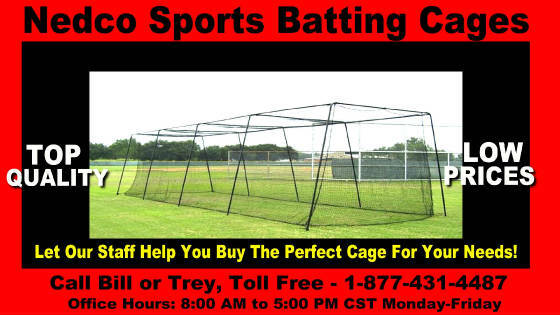 Our batting cage netting also features a heavy rope border along the bottom, corners, and top ribs.